Federal regulators have begun an investigation of Hyundai and Kia vehicles in the U.S. following reports that airbags in certain models failed to deploy in head-on collisions. Specifically, the National Highway Traffic Safety Administration (NHTSA) is looking at six accidents that claimed four lives and injured six others. The investigation centers on the 2011 Hyundai Sonata and 2012 and 2013 Kia Forte -- an estimated 425,000 cars. Some of the vehicles are subject to recall. In late February, Hyundai filed a defect information report (DIR) that resulted in a NHTSA recall. The company said it produced the DIR after post-collision inspections of the vehicles' airbag control units (ACUs). Hyundai said the inspections showed what it called an "electrical overstress condition" of one of the components in the airbag system was present in three of the crashed vehicles. A fourth ACU is still being analyzed. At the moment, regulators say Hyundai has not found a way to repair the problem. It is still investigating the cause of the failure with the part manufacturer. Meanwhile, NHTSA said it is aware of an earlier recall where an electrical overstress condition appeared to cause airbag failure in certain Fiat Chrysler vehicles. It will try to determine whether the problem is present in vehicles from other manufacturers. NHTSA says its Office of Defect Investigations will evaluate the scope of Hyundai's recall and confirm whether Kia uses the same or similar part. The investigation will also review the root cause of the issue, with an emphasis on finding what is contributing to the part's electrical overstress. As an enhanced safety feature, airbags were introduced in passenger vehicles in the U.S. during the mid-1970s as an option in luxury cars. Passenger cars and light trucks built after September 1, 1998 were required to have airbags for the driver and the right front passenger. Credited with saving countless lives since then, the airbag has not been without its problems. 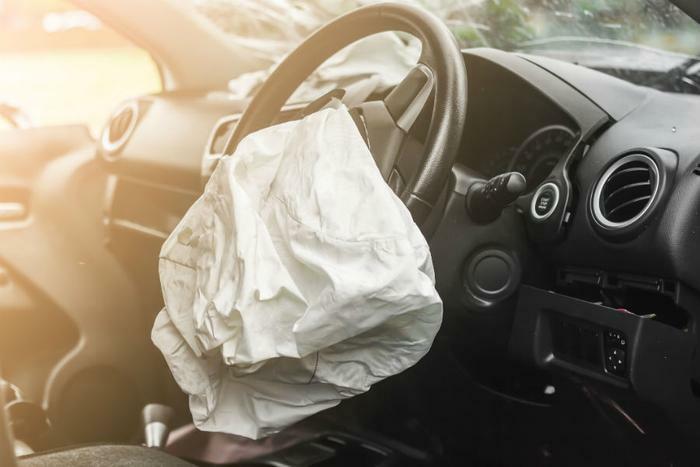 Airbags made by Japanese manufacturer Takata have been the cause of the largest auto recall in the U.S., after it was determined that its airbag inflators could explode, spraying tiny bits of metal throughout the vehicle cabin. The defect is blamed for 13 fatalities in the U.S. Takata recently agreed to a $650 million settlement with 44 states and the District of Columbia while its automotive customers have paid out a total of more than $1 billion in settlements.